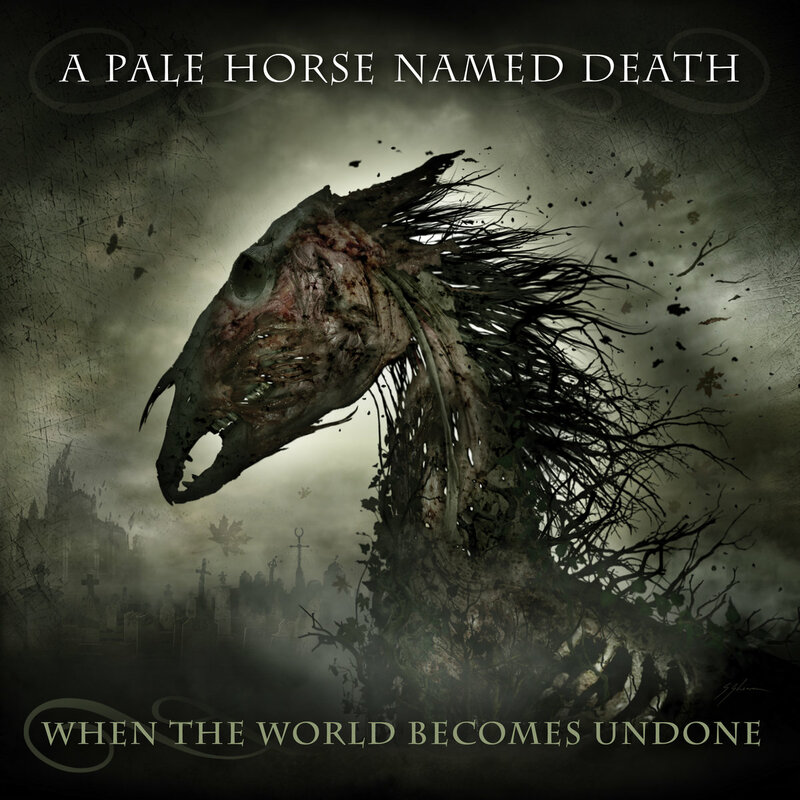 Six years after releasing their latest album, Lay My Soul To Waste, the New York gothic doom metal quintet A Pale Horse Named Death (like the pale rider in Clint Eastwood movies) are returning with When The World Becomes Undone that will be released on January 18th, 2019 via Long Branch Records/SPV GmbH. The new single "Love The Ones You Hate" is coming out on November 16th, 2018. "It's our signature combination of seemingly depressing and dark musical tones with unexpectedly pretty melodies," affirms Sal Abruscato. "There's a hypnotic phenomenon that happens when you take super heavy riffs and add a harmonic sensibility. It allows you to drift off and zone out." The new album was mastered by Maor Appelbaum (Faith No More, Meat Loaf, Yes, Sepultura, Halford, etc.) at Maor Appelbaum Mastering while the artwork was once again created by Sam Shearon (Rob Zombie, Fear Factory, Cradle Of Filth, etc. ).